If you haven’t heard about Wolfram Alpha, then you probably aren’t interested enough in facts, data, or the Star Trek computer. The computational search engine does a few things that even Google can’t do, and also has its everyday productive uses 20 Ways Everyday Life is Easier with Wolfram Alpha 20 Ways Everyday Life is Easier with Wolfram Alpha There is something about Wolfram Alpha. It makes complicated computations cool again. Here are 20 ways to put the engine to everyday use. Read More . In short, it’s a great educational tool, and everyone should check out Wolfram Alpha’s Problem Generator. But every dumbfounded student knows that you need more than one lasso to tame the perils of mathematics… so enter Symbolab Math Solver. Think of it as an answer engine that can help you make sense of any math equation. Math is a scientific “language” — and like any other language, the meaning of a math expression changes with context. 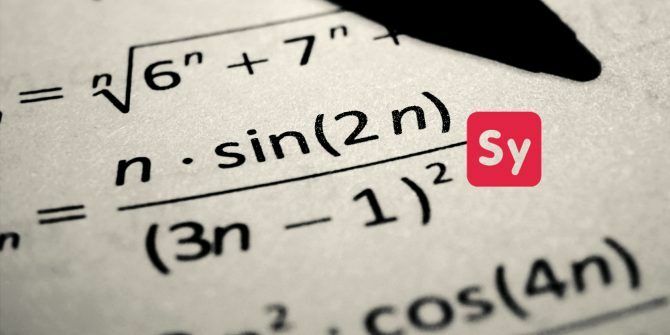 Symbolab is meant to be a search engine for discovering the meaning of an equation, and it helps you do that not with search keywords but with mathematical symbols. Symbolab uses machine learning and semantic search to understand and give step-by-step solutions to algebraic, trigonometric, statistics, and calculus topics. There is a section for chemical equations as well. The examples section contains some examples to see the flow of the site. Selecting an example will take you to the Solutions page. You can click see more in order to see more examples. Try a math problem of your own with the pad and the input box. Math is a mental game. So, try the DIY approach first. If it doesn’t work, then use Symbolab to break down the solutions and understand the individual parts of the problem. Is Symbolab one of the more comprehensive math education tools on the web? Can it help you conquer your fear of math? Explore more about: Education Technology, Math, Study Tips.